Having a bit of France withdrawal this week… fortunately there’s Yelle. My latest Sounds of Travel is up over at Gadling. I wrote about one of my favorite bands and songs, Ce Matin La by the French duo Air. It’s hard to listen to it without being put in a good mood. For me, traveling music has to provide a good background. It has to to flow with your up and down emotions, fit a variety of situations, but be distinct enough that it brings back memories when you return home. 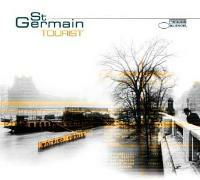 For that reason, in my last post I wrote about St. Germain, which is one of my favorite artists to listen to while traveling. Along those same lines comes Air, another electronica-inspired group that hails from France. As I wrote about St. Germain, music like this immediately takes me back to living in France; I can envision the first time and place that I listened to either of these two groups. But Air is a little more than that, the duo’s second album Moon Safari has become my traveling soundtrack — no matter what the destination — and my song of choice is Ce Matin La. France. This is a country known for its music. The stereotypical accordion tunes from atop Montmartre embodied in the soundtrack of Amélie, the ballads of Edith Piaf, and the intense lyrics of adopted icon Jacques Brel (he was actually Belgian, but the French like him so much they seem to forget). But beyond those symbolic melodies that scream French roots, there’s another side to French music. One that is much more urban, cosmopolitan and chic. It’s the smooth, electro-jazz, slightly funky sounds of contemporary bands like St. Germain. Read the rest of it, and watch a video of “So Flute,” here.